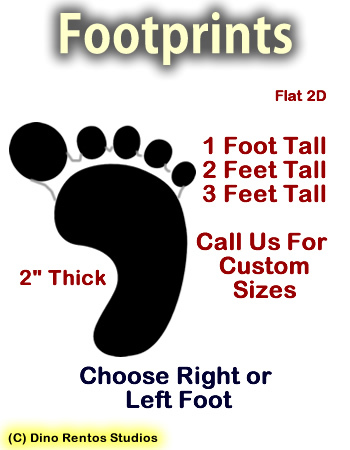 Footprints 2D Foam Props - Dino Rentos Studios, INC.
General footprint style cutout. Painted the color of your choice. 2" thick and your choice of height. Choose left foot or right fot. Price is for 1 footprint.